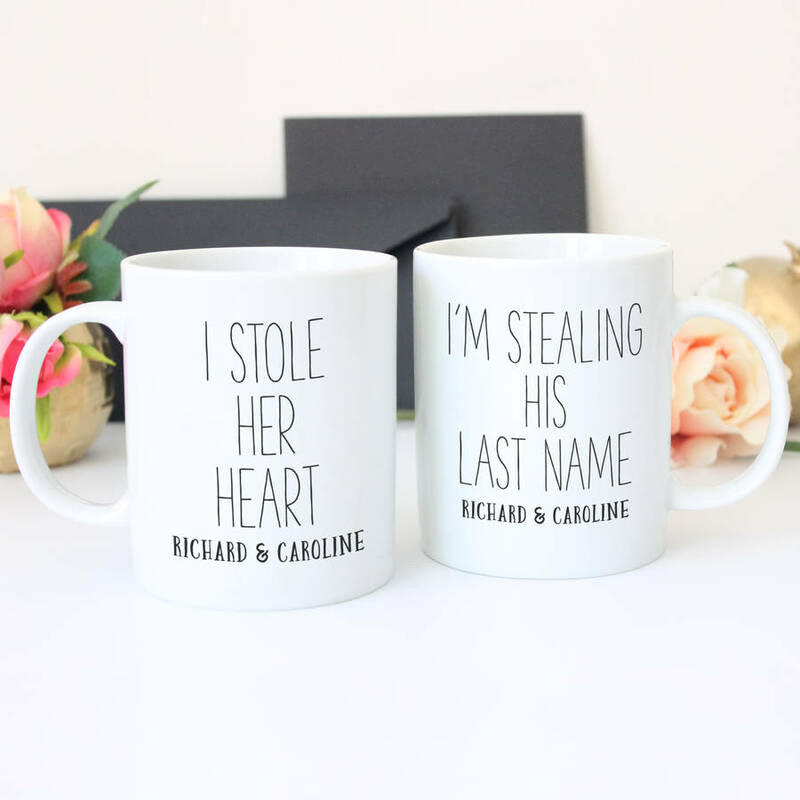 A pair of beautiful ceramic mugs with 'I stole her heart' 'I'm stealing his last name' typography print. 'I stole her heart' and 'I'm stealing his last name' typography mugs makes an adorable way to announce an engagement! This gorgeous mug set makes the perfect gift for Engagements and Weddings or Christmas gift to celebrate the happy couple!